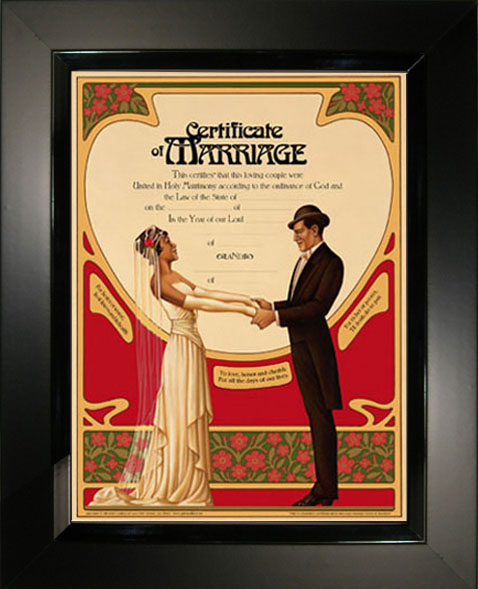 Print Size 12" x 16" & Frame Size 18" x 22"
Print Size 12" x 16" & Frame Size 19.5" x 23.5"
Print Size 12" x 16" & Frame Size 17" x 21"
Print Size 12" x 16" & Frame Size 17.5" x 21.5"
Just received an anniversary invitation and need a unique personalized gift/accessory or maybe the ideal romantic gift for your anniversary? 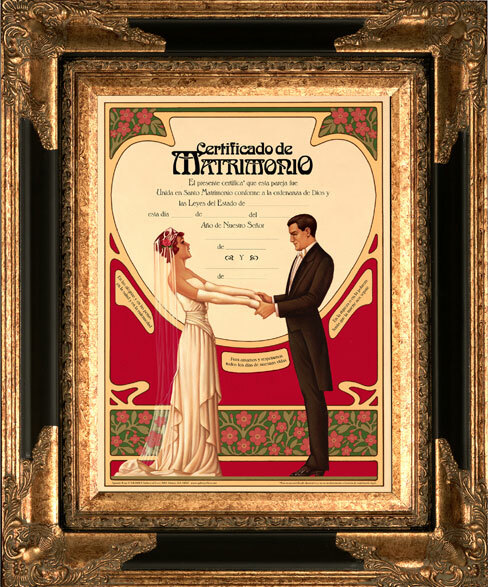 Welcome to the Gallery of Love! 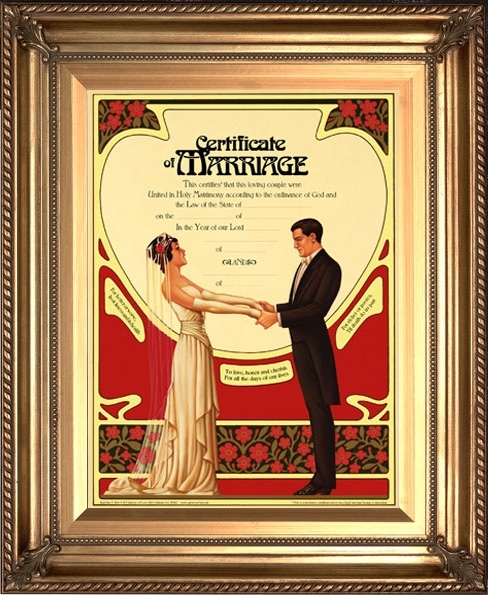 Here are just a few romantic ideas to help you find that perfect present for an engagement gift, bridal shower, wedding ceremony, 1st, 5th, 10th, 25th, 50th Anniversary, Valentine gift or commitment ceremony. 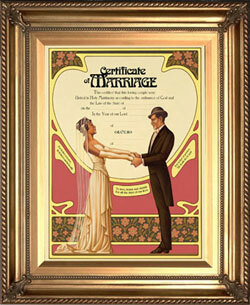 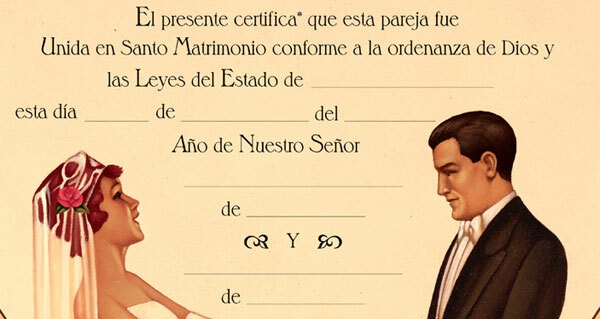 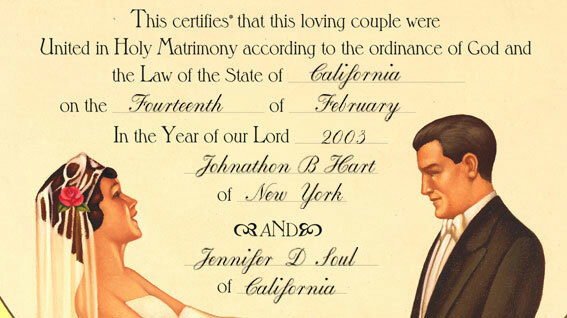 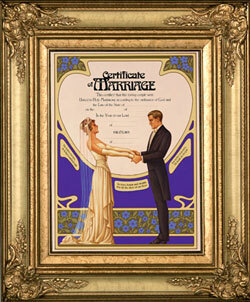 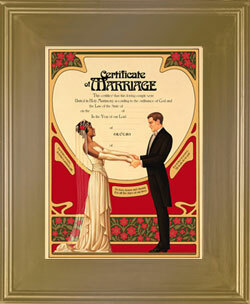 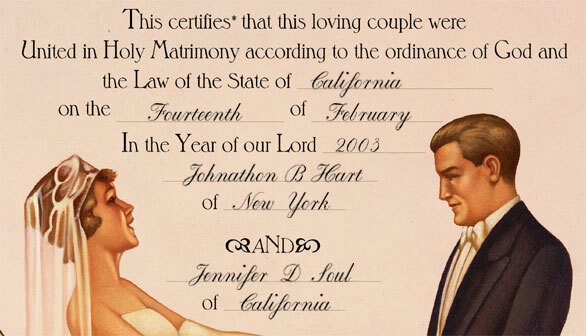 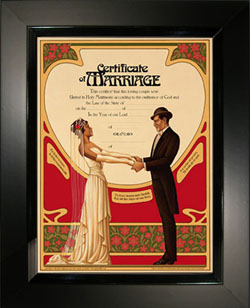 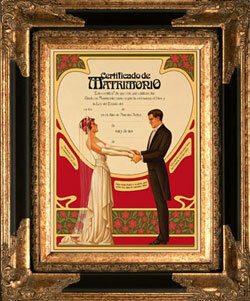 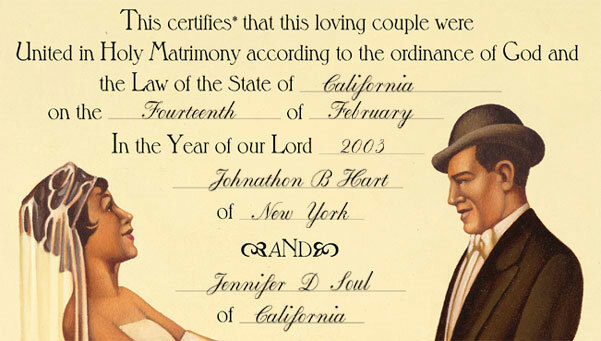 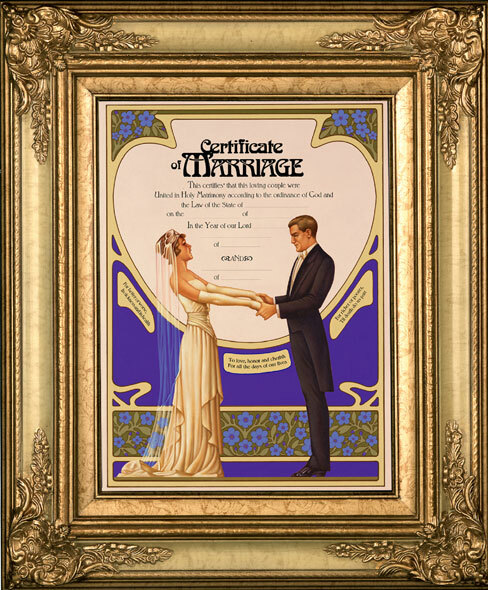 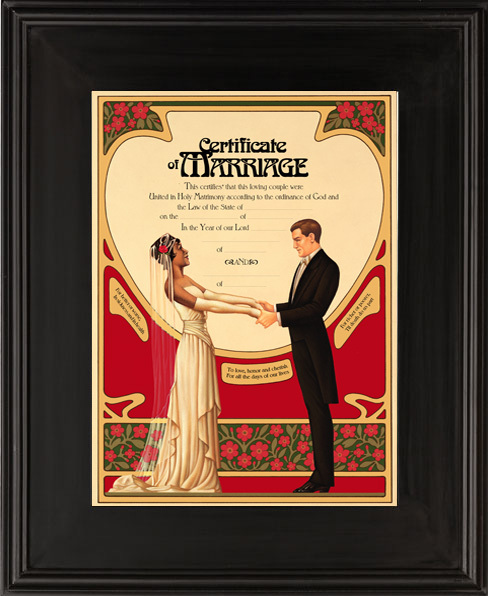 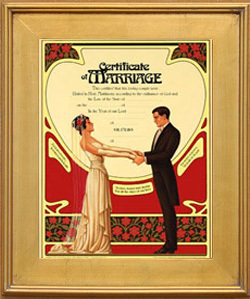 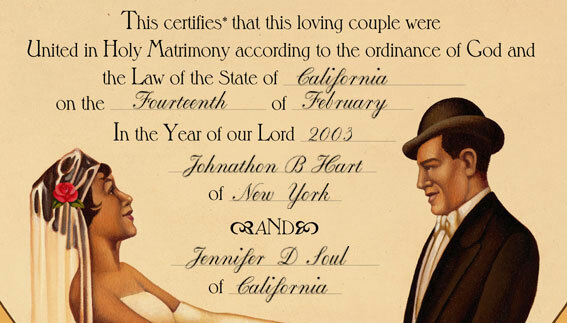 Our romantic certificates will be a beautiful expression of your love on your anniversary or anyday.